Here are answers to some of our clients most asked questions. If you don't find the answers to your questions below, please feel free to contact us. What is the history of ISO 9000? How long does ISO certification last? Does the ISO 9000 standard apply to any organization? Will I need to create dozens of procedures and bury my organization in tons of paperwork? ISO is actually the Greek word for "Equal". The purpose of ISO 9000 is not necessarily to guarantee product quality, but to ensure that your organization produces consistent product & service quality time & time again. ISO 9000 is a Quality Management System standard that helps organizations ensure they are meeting customer requirements. The intent of the 9000 standard is to implement systems that Management can use to better run the business. 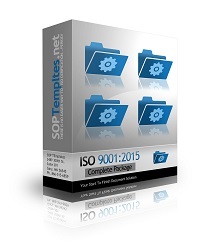 ISO 9000 was originally published in 1987 and was derived from the British standard BS 5750. It was revised in 1994, 2000, 2008 and again in 2015. The actual standard which an organization is certified to is ISO 9001. Typically certification lasts for three years. Surveillance audits are performed each year to ensure you remain compliant to your documented quality management system. Apart from the benefit of additional market opportunities, the greatest benefits come from having a structure to improve your business processes. It provides management with the tools to objectively decide where things are working well, and where to best apply resources to make things run more efficiently. ISO 9000 assists management in maximizing the effectiveness of your business, thereby enhancing growth and reducing cost. It gives your customers confidence that you have an organization that can consistently meet their needs. The ISO 9000 standards are general and broad enough to apply to any industry from manufacturing to service and educational institutions. The ISO 9000 standard only requires a quality manual and six written procedures. The downfall of most companies is the over documentation of their processes. Creating reams of paperwork that no one in the organization even takes the time to review. We help you in minimizing the paperwork. How long will it take to be certified? The time can vary depending on a number of factors. Your current readiness, the time your willing to commit and the size and complexity of your organization are just a few. With the proper guidance and commitment, the average organization can achieve certification in as little as 3-4 months. Larger organizations in 5-8 months.